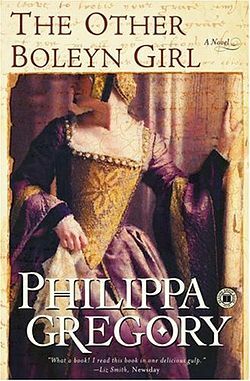 The Other Boleyn Girl is the story of the rise and fall of Anne Boleyn, told through the eyes of her sister Mary, the Boleyn girl of the title. It is a historical novel, full of romance, intrigue and excitement. It also explorers the relationship between the sisters and the role of women in Tudor times, illustrating just how little control women had over their own destiny’s and what they do to try and overcome that. In the book Mary Boleyn is the younger of the two sisters and catches the eye of the young King Henry VIII when she is presented at court. Her father, Thomas Boleyn, and powerful uncle, the Duke of Norfolk, see this as the perfect opportunity for them to gain power and favour with the King and coerce Mary into sleeping with him, telling her it’s all for the good of the Boleyn family. Mary and Henry VIII end up falling in love and begin a passionate affair but it doesn’t take long for Henry VIII’s eye to wander to Mary’s older sister, Anne Boleyn. Seeing this unfold and fearing they will lose the influence they have over Henry VIII if he takes a mistress from another powerful family, Thomas Boleyn and the Duke of Norfolk actively encourage the union, something Anne is only too willing to oblige them with as she has her own fierce ambitions. Anne finally ends up marrying Henry VIII after a long courtship and this is played out in the background of Mary’s own story. The book is written in the 1st person so you are seeing things constantly through Mary’s eyes and how she thinks and feels about her situation. After her affair with Henry VIII Mary must still be serve her family’s interests and is at Anne’s side when her life begins to unravel as the pressures of surviving in the treacherous Tudor court take their toll. All the while Mary is secretly yearning for a more simple life and begins a touching romance with William Stafford who is a commoner, which causes Mary more trouble with her family.